AT&T will partner with TerreStar Networks to bring the latest integrated smartphone mobility solution known as the TerreStar Genus, where it will merge primary cellular wireless connectivity with the ability to connect to a satellite network as a backup, achieving this using a singular phone number on a solitary smartphone device. This integrated mobile communications solution is a two-edged sword, depending on how you look at it. For those who tend to travel a lot and have to traverse through difficult-to-reach areas, the satellite connection will definitely come in handy during an emergency, but for corporate warriors, woe to you if your superior sends the TerreStar Genus as a “gift” to you – it would mean you no longer have any excuse for not being able to receive a phone call or text message due to poor reception in your home. Toshiba has just unveiled their latest line of Toshiba Satellite T100 Series notebooks, where this new breed of consumer ultra-thin notebooks were specially designed to meet the demands of everyday mobility with notebook-class performance alongside the capability to provide enough juice to last throughout the entire working day, and without breaking the bank to boot (personal or corporate) with prices starting from a mere $449.99. All the T100 Series notebooks will be no thicker than 1″, and they will tip the scales from 3.49 pounds onwards. 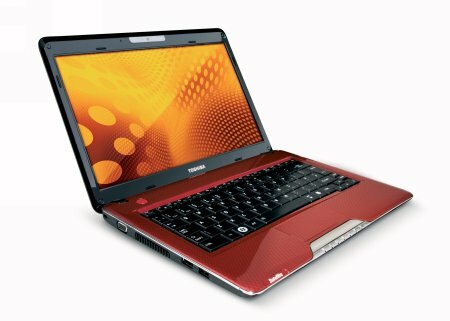 Despite being relatively affordable, that doesn’t mean that Toshiba has skimped on the specifications and innards – no sir, the Japanese company will see to it that you will enjoy every computing moment on these devices with Windows 7 as the operating system of choice, coupled with power-efficient Intel ultra-low voltage processors, extremely fast resume from standby times and power saving enhancements which is capable of offering a whopping 9 hours of battery life under conservative use. There are two things that are sure in life online: username and password. How much time do we spend a day typing in those things? What if you could just eliminate that part of your day? You could probably save a few minutes per day. This is what RoboForm 2Go is designed to do. 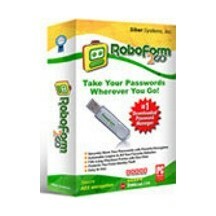 Similar to the IDVault, it can plug into the USB drive and remember what you typed in for your passcodes. So the next time you go onto your favorite site, all you have to do is approve the RoboForm 2Go’s request to automatically fill in the proper codewords. One thing that has always bothered me about carrying headphones is that they don’t last as well when they’re just tossed in a bag or purse. They have too many flimsy parts that eventually get bent or broken. 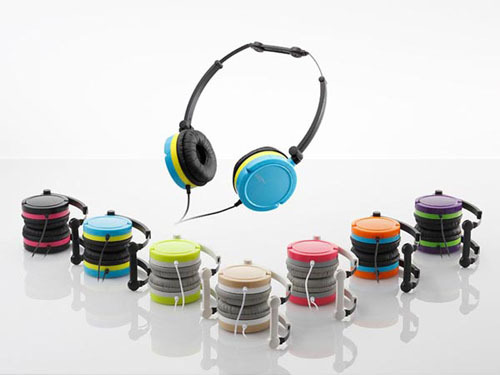 Well Elecom has a set of headphones that would be great for those of you that are always just carelessly tossing your gadgets in with various other items. 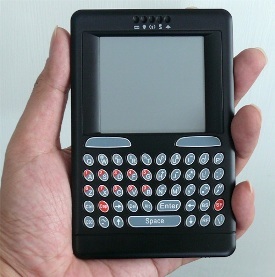 One of the problems with the keyboards made for HTPCs (Home Theater Personal Computers) is they tend to be too big and bulky. Unless you have a Logitech diNovo Mini, you might want to look at this very intriguing Wireless Keyboard and HTPC remote. 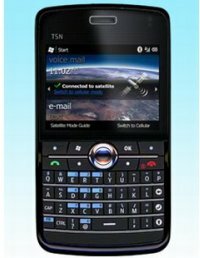 Yes, that is what this is, not some new version of BlackBerry or some prototype version of the Palm Pre. This is a wireless keyboard that works via wireless dongle, and that “screen” that you see is a touchpad. It’s never good when you manage to drop something down in a crack that’s impossible to get into. It always seems like it happens in a very dark area that’s close to impossible to get at. Then to top it off, you had to drop something expensive and irreplaceable. It’s just the way it works. 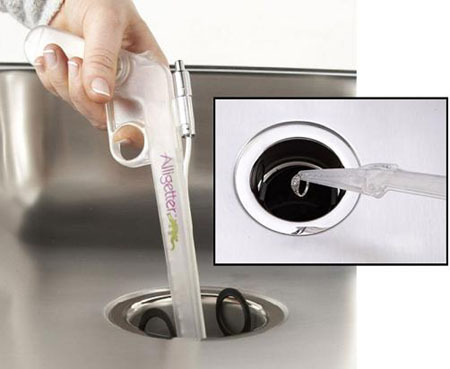 Well Now you can have an Alligetter Grabber LED Tool to save the day. It’ll make sure that nothing ever stays out of your reach for long. It has been a while since we covered anything by VholdR, the “big little camera”. 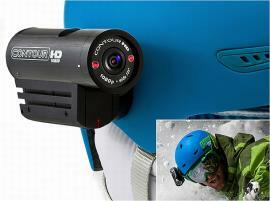 The company has recently announced the ContourHD 1080p, and it appears to be made for those that want to strap a camera on their head. It certainly is light enough at 4.3 ounces, and records video footage on microSD cards. The battery life is sufficient for 2-3 hours per charge. When it comes to conserving energy and your electronics, sometimes it’s easier said than done. It would be fairly easy to just flip a switch on your surge protector to power everything down. However, when it’s way underneath the desk, it takes a lot more effort. That shouldn’t matter, but in all honesty, it does end up making it so that you power everything down less often. Well Belkin has come out with a solution that’s not only convenient, but it’s affordable as well. 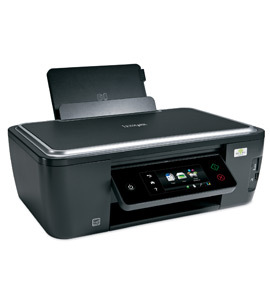 Previously, on Coolest Gadgets, we covered the Lexmark’s new line of all-in-one printers. I had a chance to work with one of these new eight printers, the Interact S605. The Interact has a 4 x 3 touchscreen on the front, and is really easy to set up. It practically held my hand through the set up of the cartridges and papers. I did have some trouble with part of the set up, but Lexmark’s technical support really helped me out. The reason why the Interact S605 is an all-in-one printer is because a computer is not required for certain print jobs. For example, if you have an SD card or thumb drive, you can just plug it in, and print out your photos or other documents.